Climate change can influence everything from pine beetle outbreaks in the Rocky Mountains to rising sea levels in Papua, New Guinea. In the face of a rapidly changing earth, plants and animals are forced to quickly deal with new challenges if they hope to survive. According to a recent paper by Jason Fridley, Ph.D., Associate Professor of Biology in Syracuse University's College of Arts and Sciences, recent Syracuse University Ph.D. Catherine Ravenscroft, and University of Liverpool Professor Raj Whitlock, some species may be able to handle environmental changes better than others. Dr. Fridley explains that species have a couple of options with which to deal with stress associated with environmental change: they can pick up and move to more favorable areas or they can stick it out and adapt to the new challenges. This ability to adapt to climate changes was the main focus of the researcher's study. Ribwort plantain (photo) and sheep fescue, two plants common in the study site, show signs of being able to respond to induced climate challenges. "There is evidence of genetic differentiation with a long-term climate treatment," says Dr. Ravenscroft, explaining that genetic differences have built up between climate-treated versus untreated plants in the study site. The new research was published in an open-access article in the November 2015 issue of Global Change Biology. The article is titled “Rapid Genetic Divergence in Response to 15 Years of Simulated Climate Change.” What's more, the gene-level changes have happened remarkably fast. Because these grasses are perennial species, meaning they live and reproduce for multiple growing seasons, Dr. Fridley estimates there have only been around ten generations of plants over the 15-year experiment. A new study shows that if the European Union (EU) lifted the pig swill ban imposed following 2001’s foot-and-mouth disease epidemic, and also harnessed technologies developed in East Asian countries for “heat-treating” food waste to safely convert it to pig feed, approximately 1. hectares (~4.5 million acres or ~half the size of Germany) of land could be saved from being stripped for grain and soybean-based pig feed production – including over a 250,000 hectares (~618,000 acres) of Brazilian forest and savannah. While swill-feeding was banned across the EU in 2002 following the foot-and-mouth outbreak (triggered by a UK farmer illegally feeding uncooked food waste to pigs), other countries, such as Japan, responded by creating a highly regulated system for safely recycling heat-treated food waste as animal feed. Researchers describe the EU ban as a “knee-jerk reaction” that no longer makes sense when East Asian countries have demonstrated that food waste can be safely recycled. The models in the latest study show that pig swill reintroduction would not only decrease the amount of land the EU pork industry requires by 21.5%, but also cut in half the ever-increasing feed costs faced by European pig farmers. 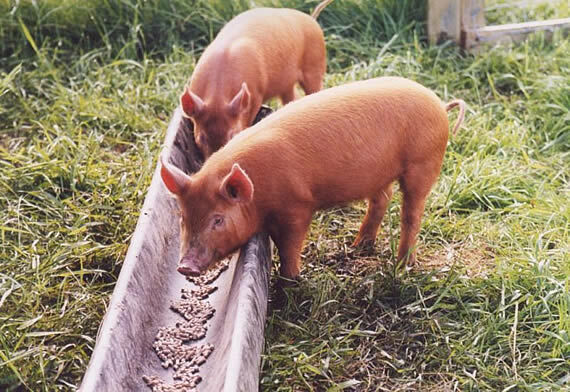 Pig swill (also called “hogwash”) is human food waste that is used to feed pigs. Researchers describe swill as a feed that is commonly used in other parts of the world, one that could save a huge amount of global resources, and provide an environmentally-sound recycling solution to the estimated 102.5 million tonnes (113 million US tons) of food wasted in the EU each year. Over 35% of human food waste is now recycled into animal feed in Japan, where swill-fed “Eco-Pork” is marketed as a premium product. The German ice-breaking research vessel “Polarstern” (photo) travels thousands of miles between the Northern and Southern hemispheres in search of biological samples. In addition to the members of its crew and staff of scientists, this ship has some additional on-board passengers: namely, organisms that can adapt to extreme water temperatures and could potentially invade the new waters where this ice breaker takes them. By analyzing the DNA present in this vessel's ballast water, a team of scientists has obtained the first molecular evidence of the persistence of DNA belonging to a tiny sea snail that is capable of tolerating adverse conditions. The new work has been published in the November 2015 issue of the Journal of Molluscan Studies. The article is titled “Environmental DNA Evidence of Transfer of North Sea Molluscs Across Tropical Waters Through Ballast Water.” Maritime transport is considered one of the most important ways that native species are moved between marine regions. The trip can be especially successful if these species latch on to the vessel's anchors or chains, or even if they travel in the ship's ballast water tanks. Each year, between 2.2 and 12 billion tons of water are transported around the oceans of the world in these ballast water tanks which also serve as a means of transport for about 7,000 species per day. In a European report that analyzed 15 samples of ballast water, live specimens of more than one thousand species were discovered in ship tanks that arrived to European ports. These taxa, however, must face very harsh conditions upon arrival: darkness, temperature changes, salinity, murky waters, turbulence, and a lack of oxygen. Not all of the species will survive, and the ones that do become potential invasive species. The growing demand for potable water calls for low-energy and cost-effective methods for water purification. Inspired by the natural water purification systems of the roots of the mangrove plant and of the human kidney, a team of researchers from the National University of Singapore (NUS) Environmental Research Institute (NERI) has engineered a novel biomimetic membrane that can purify water at low pressure, thus reducing energy costs. This new technology can potentially reduce water purification costs by up to 30 percent, states the NUS news release announcing the advance. The water purification industry today faces a major challenge of high energy costs incurred by current membrane systems to recover water from saline sources. These industrial water purification processes are costly because they require high hydraulic or osmotic pressures to push water molecules to filter through the membrane systems. Led by Associate Professor Tong Yen Wah who is also from the Department of Chemical and Biomolecular Engineering at the NUS Faculty of Engineering, the team of researchers have designed and fabricated a new aquaporin-incorporated biomimetic membrane water purification and treatment system that is highly efficient. Aquaporins are membrane proteins that selectively conduct water molecules in and out of cells, preventing the passage of ions and other solutes. Aquaporins, also known as the water channels in living cell membranes, have been found to be the functional unit of nature’s water purification systems. These channels, present in all living things from bacteria to mangrove plants to human kidneys, provide nature’s examples of membrane structures that allow high volumes of water molecules to pass through a small surface area at very low pressures, leaving impurities like salt behind. Some infectious diseases are particularly difficult to treat because of their ability to evade the immune system. One such illness, African sleeping sickness, is caused by the parasite Trypanosoma brucei, transmitted by the tsetse fly, and is fatal if left untreated. 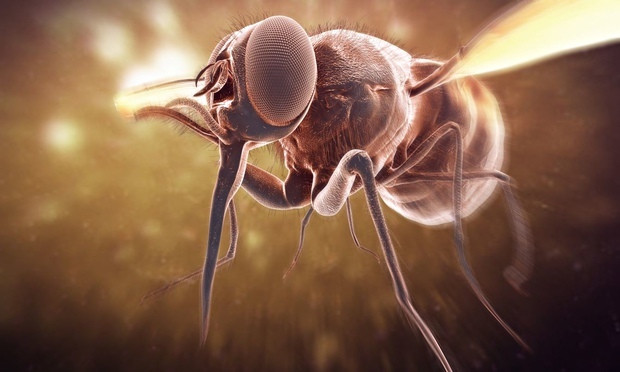 The trypanosome parasite is transmitted to mammals through fly bites and eventually invades major organs such as the brain, where it disrupts the sleep cycle, and causes other problems. Trypanosomes exist in different forms. When inhabiting a fly, they are covered with proteins called procyclins. But upon entering the bloodstream of a mammal, these parasites acquire a dense layer of glycoproteins that continually change, allowing the parasite to dodge attacks from the host's immune system that target specific glycoproteins in the parasite coat. Now, new research from postdoctoral scientists Dr. Danae Schulz and Dr. Erik Debler, working in the labs of Nina Papavasiliou, Ph.D., and in Nobelist Günter Blobel's (M.D., Ph.D.) lab at Rockefeller University in New York City, reveals a method by which to manipulate trypanosomes in the mammalian bloodstream so as to cause them to acquire fly-life-stage characteristics, a state that makes it easier for the human immune system to eliminate the invader. The findings suggest that inhibiting specific proteins that interact with chromatin—i.e, the mass of DNA and proteins that packages a cell's genetic information--can "trick" the parasite into differentiating to a different stage of its lifecycle, from the bloodstream stage to the fly stage of that cycle. The study was published on December 8, 2015 in the open-access journal PLOS Biology. It is well documented that a healthy diet and exercise are key in cancer prevention and management, but the exact mechanism has not been clear. Now, Yale Cancer Center researchers have found a possible explanation in the tiny protective ends of chromosomes called telomeres(stained red in image). The findings will be formally presented on Friday, December 11, at the 2015 San Antonio Breast Cancer Symposium (https://www.sabcs.org/) that takes place December 8-12. The researchers used a previously published Yale weight-loss intervention study called LEAN to examine how body fat and weight loss through lifestyle changes are associated with telomere length in breast cancer survivors enrolled in a weight-loss trial. Telomeres are known to shorten with cell division and shortened telomeres are associated with aging and increased risk of breast cancer mortality. The Yale study -- among the few to explore a link between weight loss and telomere length in breast cancer survivors -- found that telomeres were slower to shorten in breast cancer survivors who lost weight through diet and exercise. In some cases, telomere shortening even reversed, said the study's first author Tara Sanft, M.D., Assistant Professor of Medical Oncology. "Our results indicate that having higher body fat levels is associated with shorter telomere length, and weight loss was associated with an increase in telomere length," Dr. Sanft said. "This suggests that telomere length may be a mechanism mediating the relationship between obesity and breast cancer risk and mortality." The study's senior author, Melinda Liggett Irwin (photo at end), Ph.D., MPH, said the growing body of research linking healthy lifestyle factors, such as maintaining a healthy weight and exercise, with improved breast cancer survival is compelling. In a ground-breaking study led by scientist at the University of Texas Southwestern Medical Center (UT Southwestern), a comprehensive set of empirical biomarkers has been established to aid in the diagnosis and treatment of psychosis. To date, the gold standard for diagnosis of psychosis has been clinical observation, classifying patients into schizophrenia, schizoaffective, and bipolar disorders. But in this new study, the Bipolar-Schizophrenia Network on Intermediate Phenotypes (B-SNIP) identified three neurobiologically distinct biotypes that do not always match up with the conventional clinical diagnosis. 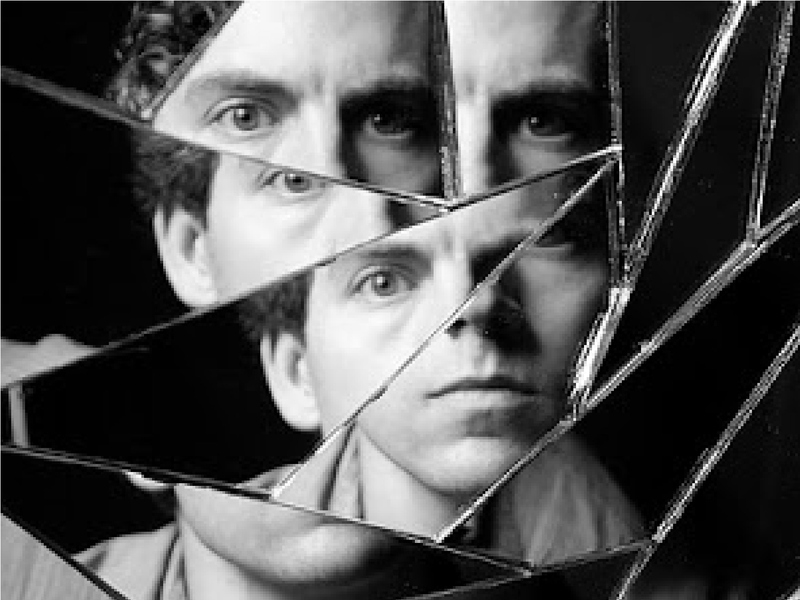 An estimated 6 percent of the U.S. population experiences schizophrenia, schizoaffective, or bipolar disorders. That’s as many as 19 million Americans. “In a sense, we have totally deconstructed and re-thought the basis for diagnosis in psychosis,” said Carol Tamminga, M.D., Chair of Psychiatry and Professor of Psychiatry at UT Southwestern, who leads the consortium. “Building diagnoses based on biology, not just phenomenology, makes it possible for the biological bases of these brain disorders to stand out as molecular targets for disease definition and novel treatments.” The B-SNIP consortium, which also includes Harvard University, Yale University, the University of Chicago, and the University of Georgia, published its findings online today(December 8, 2015) in the American Journal of Psychiatry. 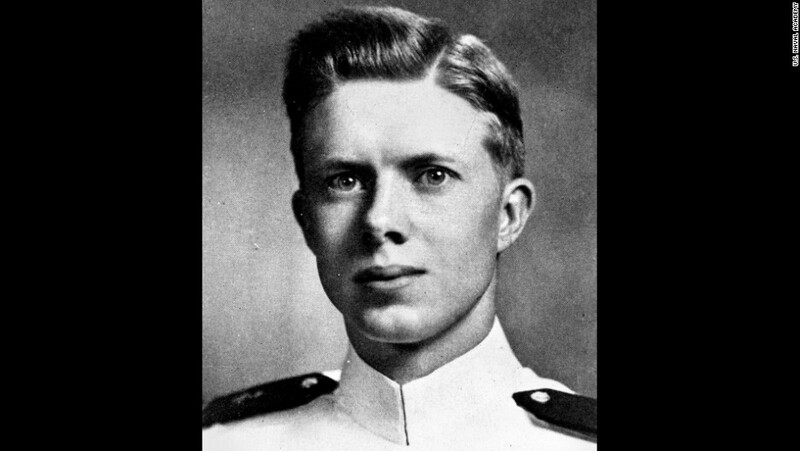 In numerous news reports (see links below) Sunday and Monday (December 6 & 7, 2015) former United States president Jimmy Carter, 91, was said to have announced that his most recent MRI brain scan shows him to be cancer-free. Reportedly, Carter made this announcement while teaching Sunday School at Maranatha Baptist Church in his hometown of Plains, Georgia. According to the media, Carter credited treatment with Merck’s recently FDA-approved monoclonal antibody drug KEYTRUDA®, and radiation, with this good initial result. According to reports, the former president was diagnosed in August 2015 with malignant melanoma that had spread from his liver to his brain. In a statement issued on Sunday, December 6, 2015, Carter said, “My most recent MRI brain scan did not reveal any signs of the original cancer spots, nor any new ones. I will continue to receive regular 3-week immunotherapy treatments of pembrolizumab [KEYTRUDA].” KEYTRUDA® (pembrolizumab) is a humanized monoclonal antibody that works by increasing the ability of the body’s immune system to fight advanced melanoma. KEYTRUDA blocks the interaction between PD-1 and its ligands, PD-L1 and PD-L2, and may affect both tumor cells and healthy cells. KEYTRUDA is the first anti-PD-1 (anti-programmed death receptor-1) therapy approved by the FDA in the United States and it received the FDA’s Breakthrough Therapy designation for advanced melanoma, which was granted based on the significance of early study findings and the unmet medical need. The FDA approved KEYTRUDA at a dose of 2 mg/kg every three weeks for the treatment of patients with unresectable or metastatic melanoma and disease progression following ipilimumab and, if BRAF V600 mutation-positive, a BRAF inhibitor. People often think hippopotamuses are herbivores with big smiling faces. Every now and then, reports of a hippo hunting down prey, eating a carcass, or stealing prey from a crocodile are heard, but they're typically considered “aberrant” or “unusual” hippo behavior. Now, however, a collaboration among researchers from four continents demonstrates that carnivory, or eating meat, is not uncommon among hippos at all, and that this behavior may increase their susceptibility to mass mortality during anthrax outbreaks. Hippos, elephants, buffalo ,and antelope are often affected by anthrax epidemics, but anthrax outbreaks among hippos exhibit certain unusual characteristics that could be explained by consumption of the carcasses of infected animals, especially those of other hippos. 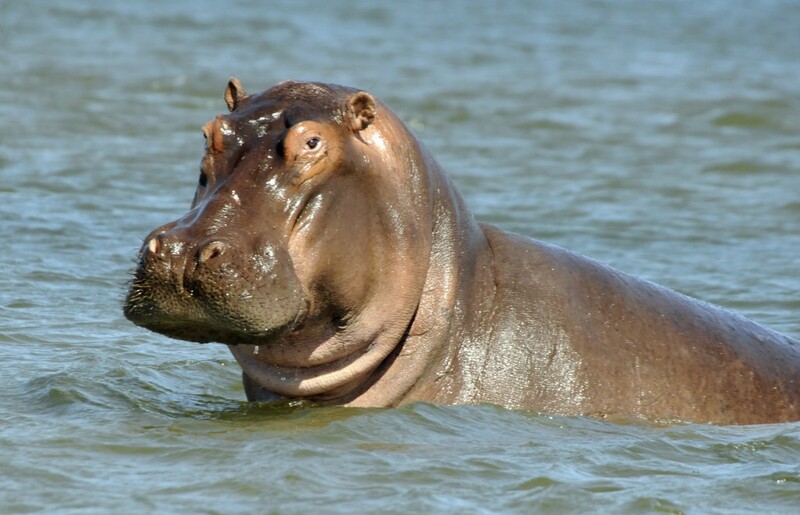 "The phenomenon of carnivory by hippos is crucial to an understanding of their susceptibility to this disease," said Joseph Dudley, Ph.D., co-author of the new study that was published online on December 6, 2015 in an open-access article in Mammal Review. The article is titled “Carnivory in the Common Hippopotamus Hippopotamus amphibius: Implications for the Ecology and Epidemiology of Anthrax in African Landscapes.” "These reports fit the fact that hippos are the closest living relatives of whales, which are all carnivorous," added co-author Marcus Clauss, Ph.D.
Scientists from The Scripps Research Institute (TSRI) have deployed a powerful new drug discovery technique to identify an anti-diabetes compound with a novel mechanism of action. The finding, which appeared online ahead of print in an open-access article in Nature Communications on December 1, 2015, may lead to a new type of diabetes treatment. Perhaps just as importantly, it demonstrates the potential of the new drug discovery technique, which enables researchers to quickly find drug candidates that activate cellular receptors in desired ways. The new article is titled “Autocrine Selection of a GLP-1R G-Protein-Biased Agonist with Potent Antidiabetic Effects.” “In principle, we can apply this technique to hundreds of other receptors like the one we targeted in this study to find disease treatments that are more potent and have fewer side-effects than existing therapies. It has been a very productive cross-campus collaboration, so we’re hoping to build on its success as we continue to collaborate on interrogating potential therapeutic targets,” said Patricia H. McDonald (photo), Ph.D., Assistant Scientific Director, Department of Molecular Therapeutics, and Assistant Professor, both at TSRI’s Jupiter, Florida campus, and a senior investigator of the study. Dr. McDonald’s laboratory collaborated on the study with the laboratory of Richard A. Lerner, Ph.D., the Lita Annenberg Hazen Professor of Immunochemistry at TSRI’s La Jolla, California campus, and with other TSRI groups. Dr. Lerner has pioneered techniques for generating and screening large libraries of antibodies or proteins to find new therapies. Three years ago, Dr.